Congratulations on winning December 2011 COTM Neil! Another member to become a 2 time COTM winner with 2 different cars WOW! 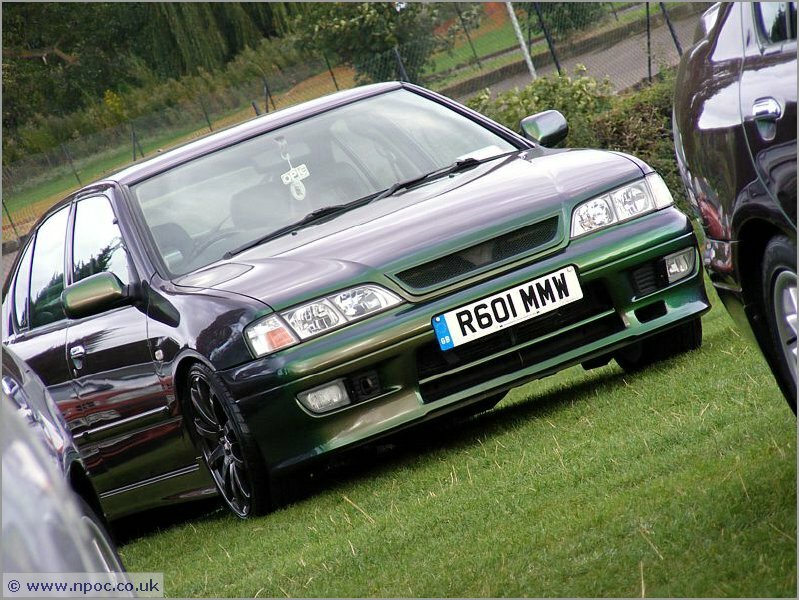 Your Nissan Primera P11 GTSE (Mystic) really dropped jaws at the recent JAE event. How does it feel bagging this exclusive award and the awesome COTM trophy as well? 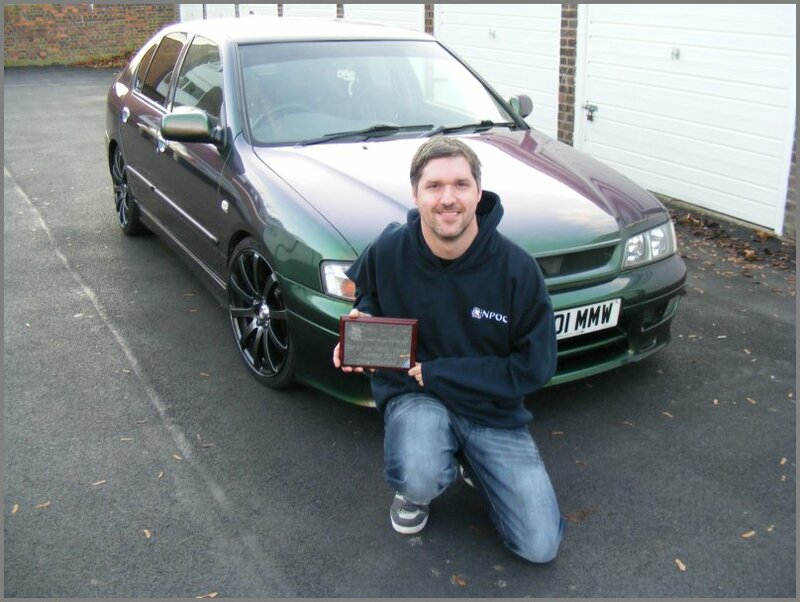 Words can’t describe it really; It was an absolute honour to be awarded “Best Nissan Primera Runner Up” at JAE 2011 but to be awarded COTM as well! I was honored and overwhelmed to think that the NPOC members thought that both my Mystic and myself were worthy of such a high accolade. Thank you so much, this means much more now, than probably the first time I won COTM. 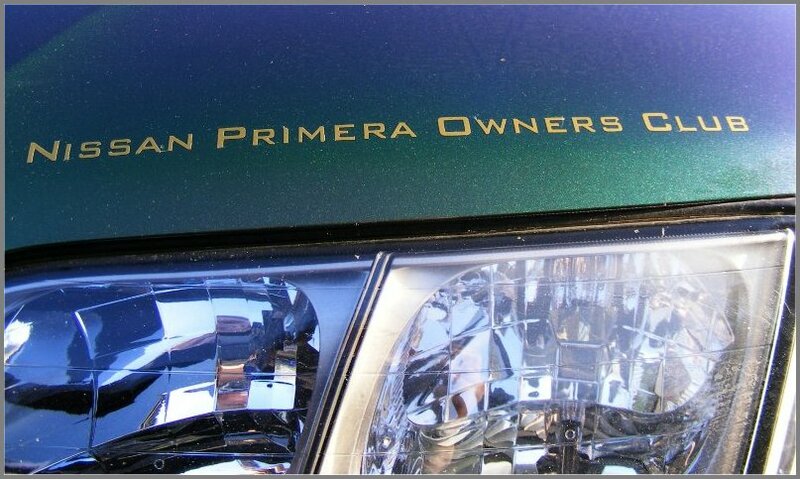 Before we talk cars, modifications and mechanics, we’d love to find out about you the owner. 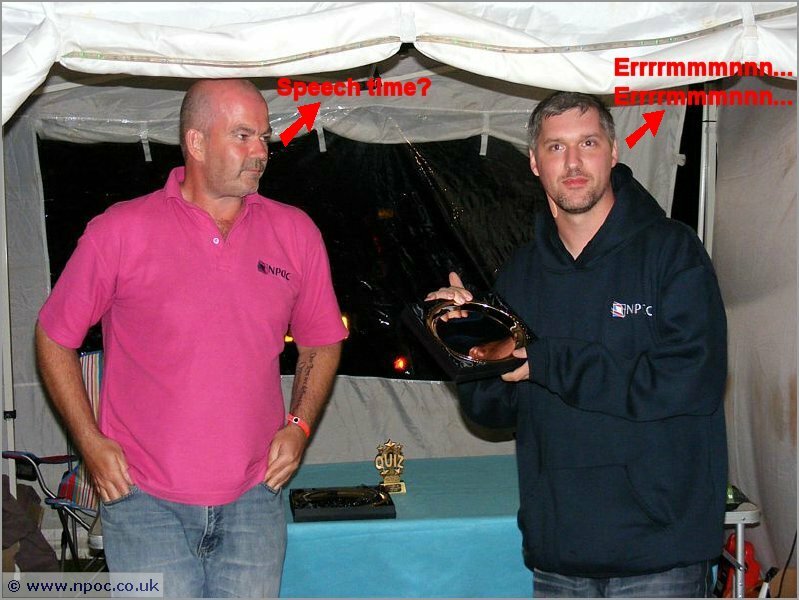 You first won COTM in November 2005 (6 years ago! ), any changes in your life since then? Please tell us about yourself and what you get up to, away from the NPOC. Many things have changed since the last time I won. I have a different job now, working for Clays ltd who are a large book printing firm. I’ve worked there for nearly five years as a bundler operator / barrow driver on the night shift, in the web room. I’m due to move into my own flat (hopefully soon), it’s closer to work and closer to Angela my new girlfriend. Talking of which, it’s going really, really well and with the Ace Xmas meet coming soon, the NPOC members will be able to meet her. How did you find the NPOC forums and are we any good? 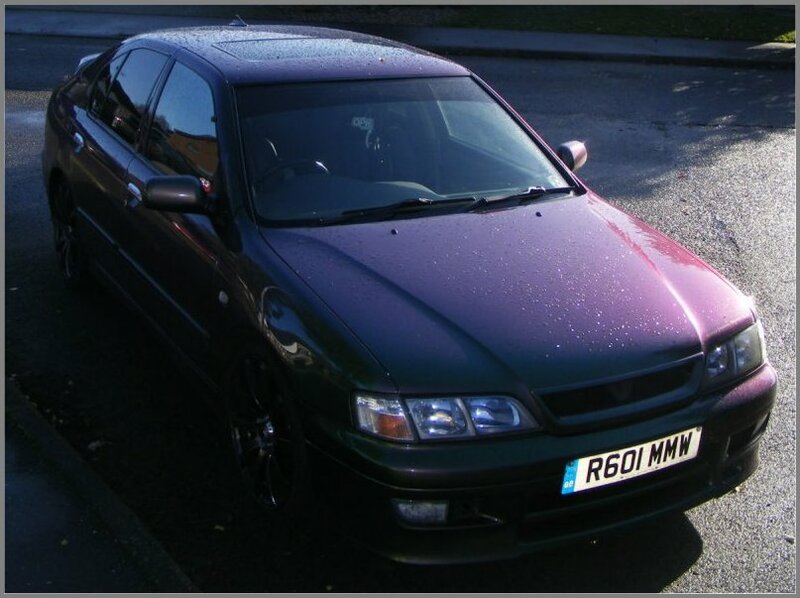 You’ve also been a member for over 7 years now, would you still happily recommend the club to other Nissan Primera owners? Since becoming a member the forum has changed and definitely improved over the years, it’s better than ever now to be honest. It’s run well and fairly, which is very important for the community spirit we have at the NPOC. There is a great “family like” atmosphere to the forums, a real friendly group. I’ve got some great lifelong friends here, it’s a great club! 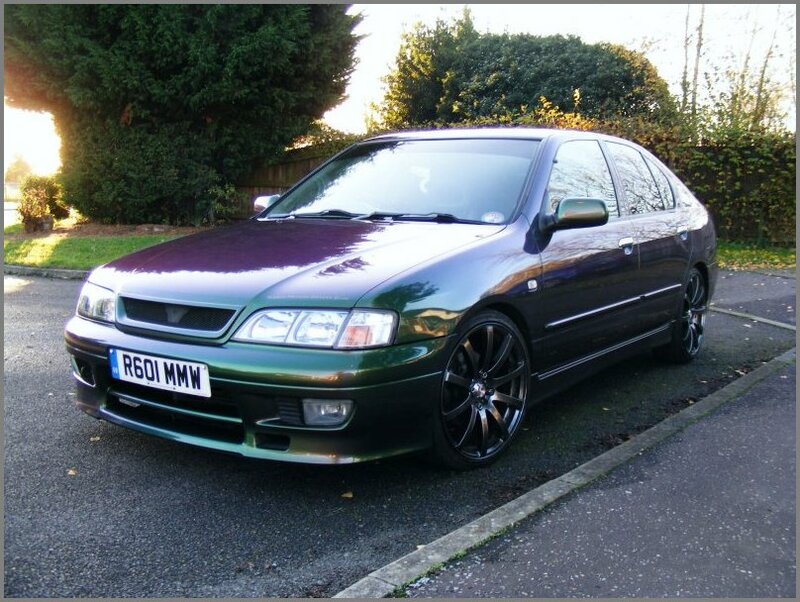 So hell yeah, I recommend the club to any Nissan Primera owner. I decided to become an Elite Member for a few reasons, mainly because I have been a member for so long and I wanted to give something back to the club, that’s given me so much advice, help and friends etc. To me that is reason enough. All the other stuff that comes from being an Elite Member is just a bonus really, the discounts on group buys, meets and major events / shows. Elite Membership is well worth it, you are doing yourself and the club a favour! 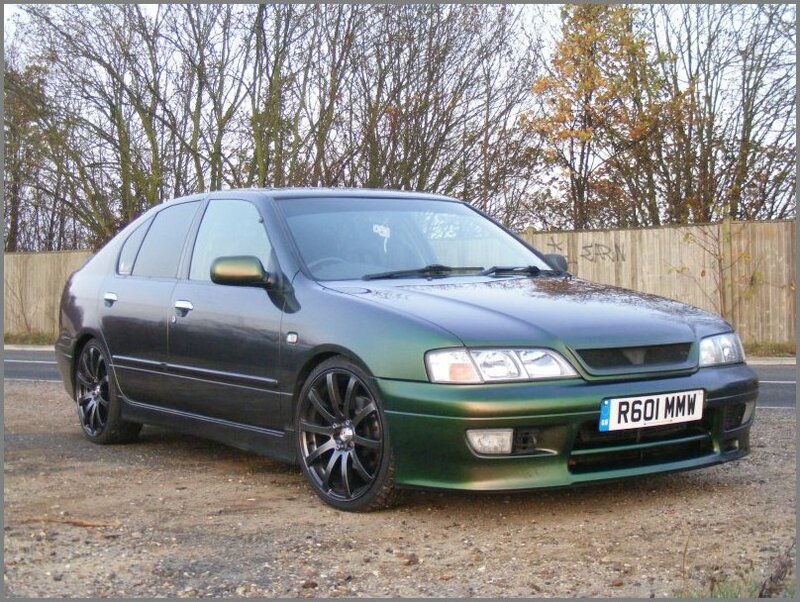 You went from a silver Nissan Primera to the Mystic (chromaflair) one we see today – Was it always an ambition or goal to own one, or was it just a chance purchase? It was purely by chance. 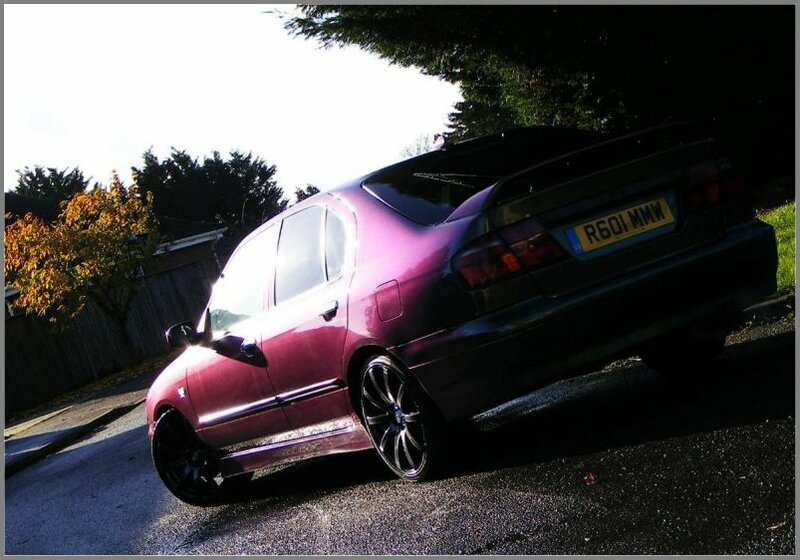 I was debating at the time what to do with the silver SRi, I had big plans for a respray but after realising the bodywork was far from perfect with rust and other stuff, added to that the mileage was creeping up (150K+), I thought better of it. The Mystic came up for sale from another local NPOC member. 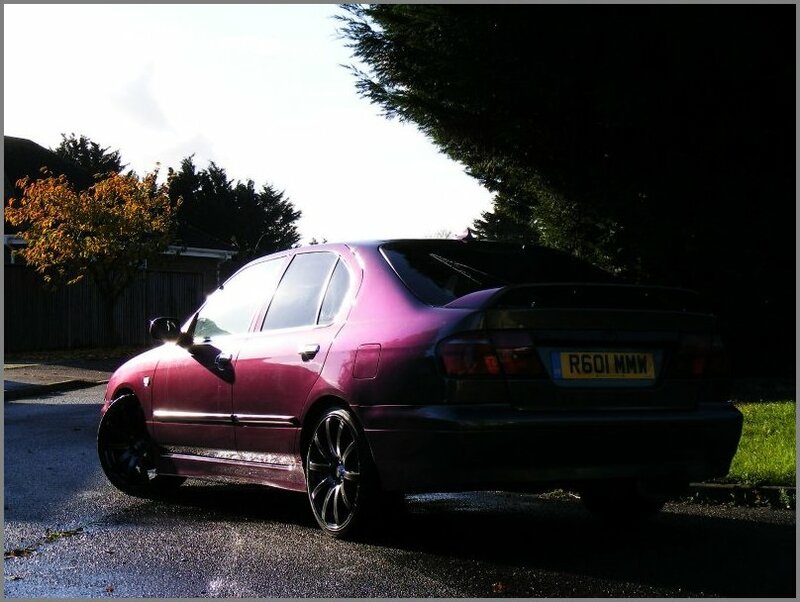 It was in such good condition and much lower mileage compared to the SRi. So when I went to view it I just fell in love all over again and I had to have it. I’m still paying off the loan that I took out to buy it but I’ve never regretted it one bit. We all know about the cost of this legendary KV7 Platinum paint (eeks)! 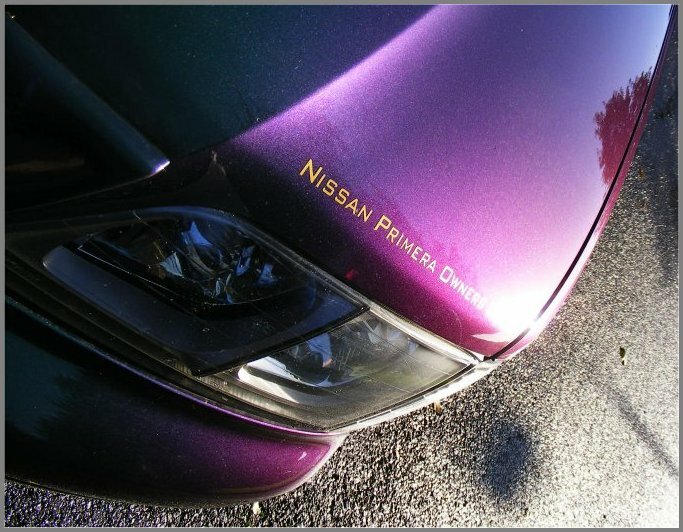 How does this affect your ownership of such a car, does it also limit your imagination and want to do any cosmetic modifying? You wouldn’t believe how much it affects my daily ownership! I’m always worried about where I park it, supermarkets are hell for me and I always park well away from other cars, as I know it’s more likely to get hit by some careless person. As far as cosmetic mods go, the paint is so expensive it really can limit my imagination somewhat but I have managed to do a few mods. The Impul grill and the shark fin aerial both had to be painted and it wasn’t cheap either, so worth it though in the end though as it really makes the car stand out. 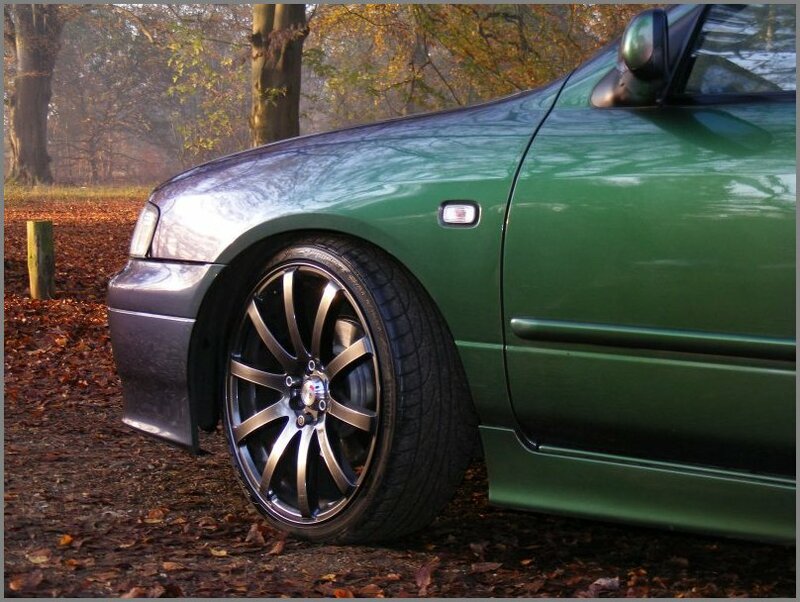 I had a recent read through of your COTM feature from way back in November 2005.. And I noticed the alloys from that car, are now on the Mystic. 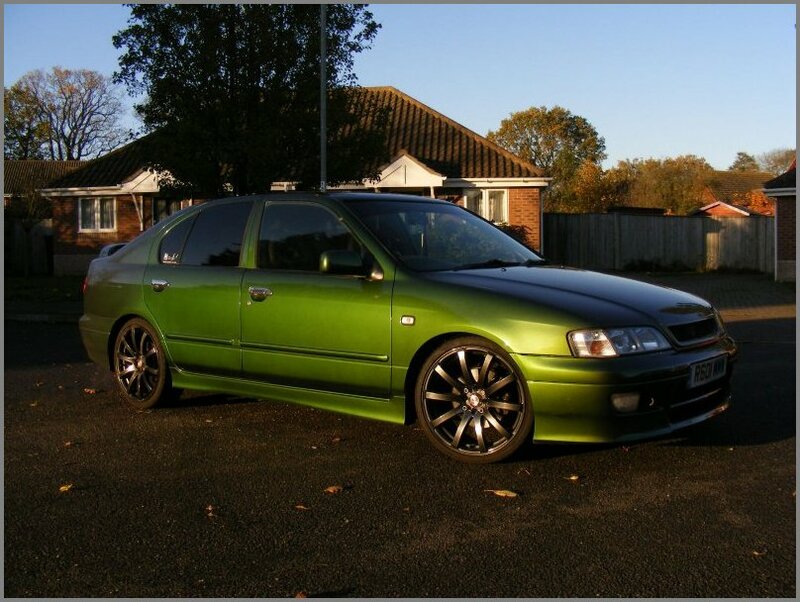 Are you just a tight bastid who won’t pay out for new alloys, or are these KEI alloys just a classic “must keep” design that work well on the Nissan Primera? 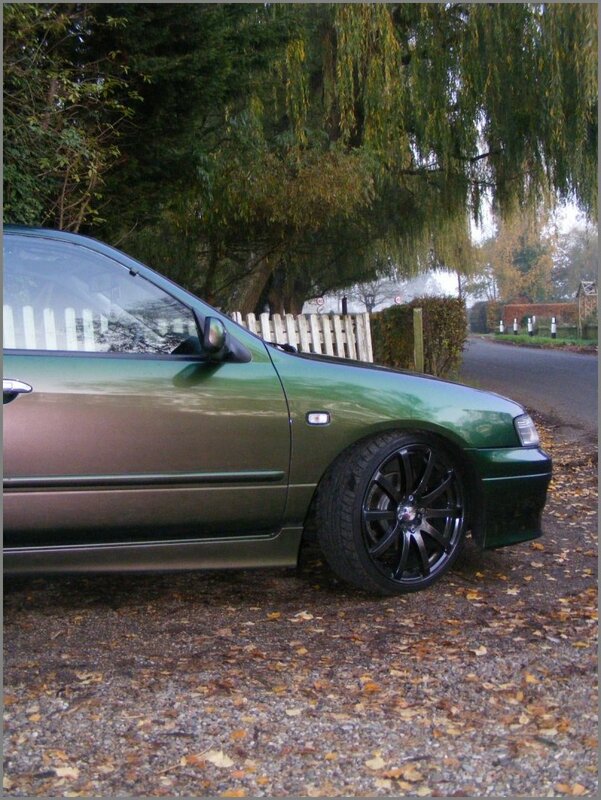 Yeah they are same alloys LOL, I’m not tight either, they cost a hell of a lot back in the day. Honestly I haven’t found another wheel design, that I think suits my style better. 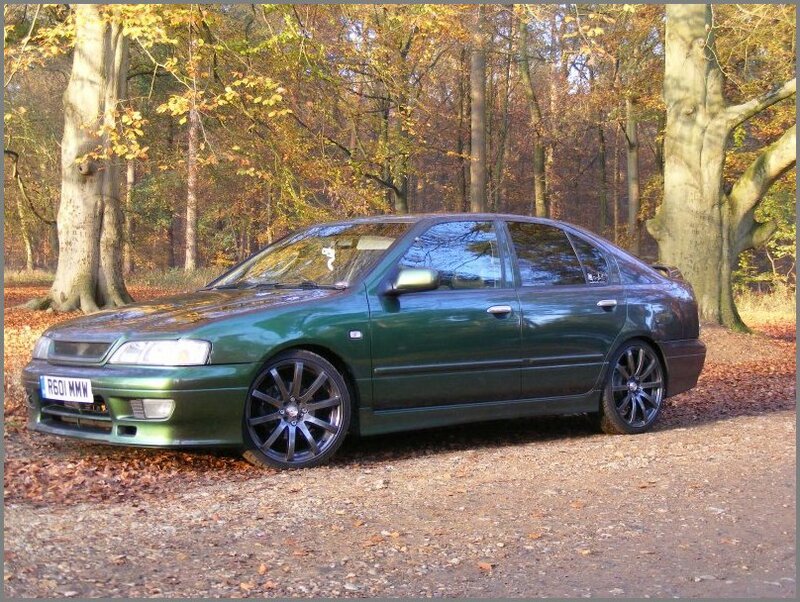 I have looked at so many sets of alloys over the years, thinking I could replace them but I’ve not found a set that has the same wow factor to me, apart from stupidly expensive polished 3 piece forged wheels hmmmm. 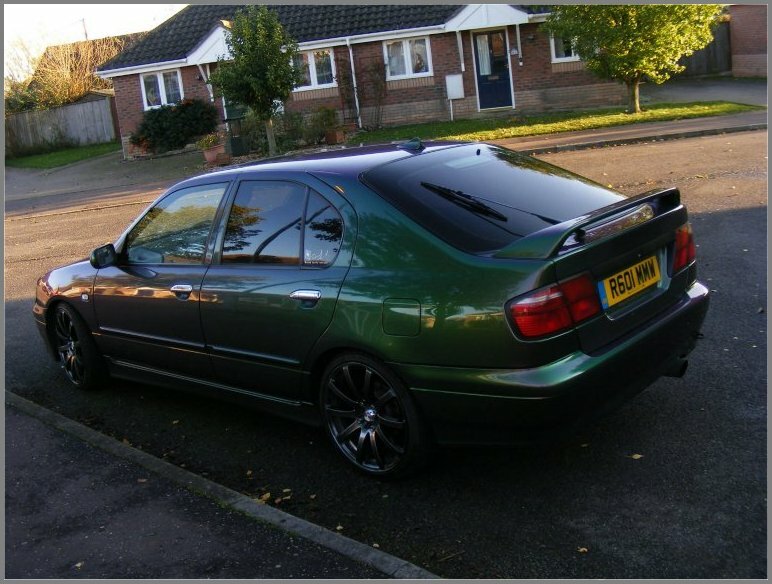 Your previous COTM winning Nissan Primera P11 SRi had some big visual modifications – Specifically the rear spoiler. Your lovely Mystic is more subtle, any reason for this, or does the Mystic do “all the talking” all by itself? 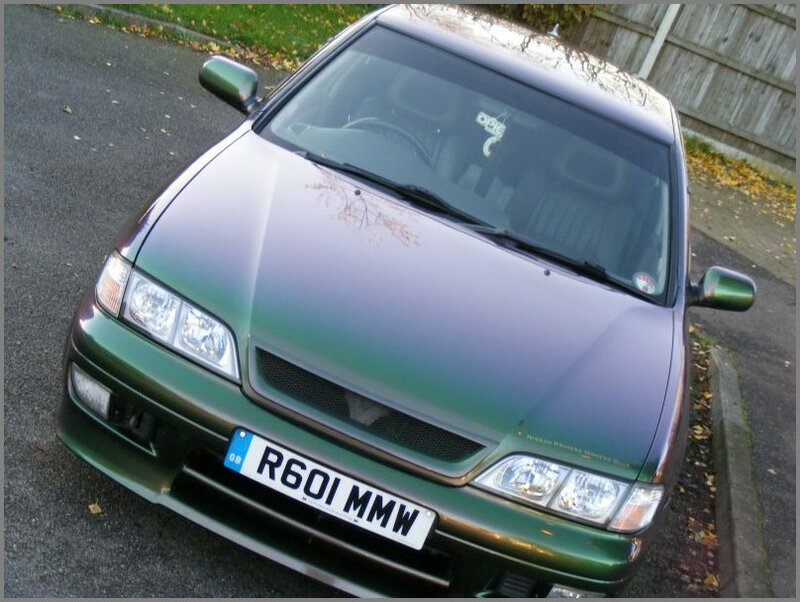 I took a conscious decision to be far more subtle with the Mystic, a major factor in that decision was the very expensive KV7 paint but I did want to take it in a far different direction to the SRi. I think that I realised that “over the top mods” are very much out nowadays and a cleaner, more simple style has been employed -Plus I think the Mystic paint is the real wow factor here. 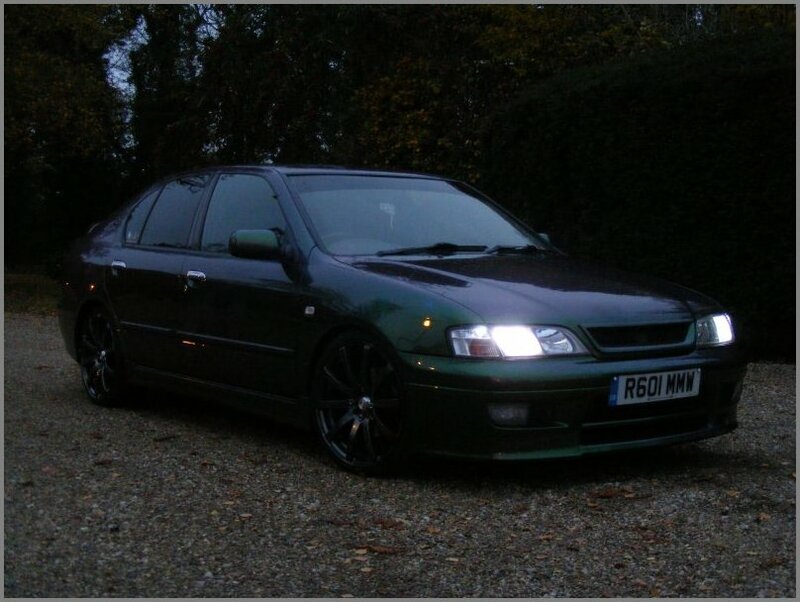 Probably the MeisterR coilovers, they are so worth it! 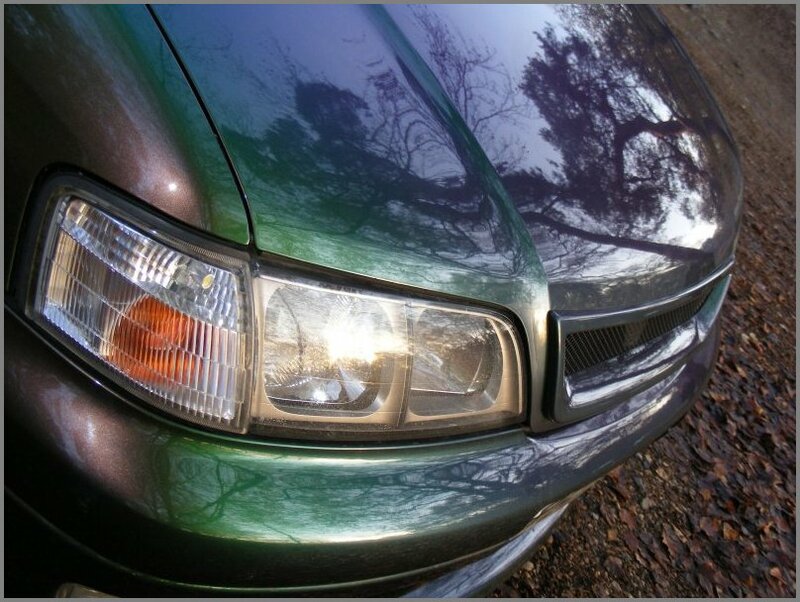 Paint - There are some chips and dents I wanna sort out. A full nut and bolt restoration, new engine rebuild with a supercharger added and all new paint. We have a great collection of lovely Mystic Primeras in this club, so to stand out and get noticed is bloody hard at the best of times! 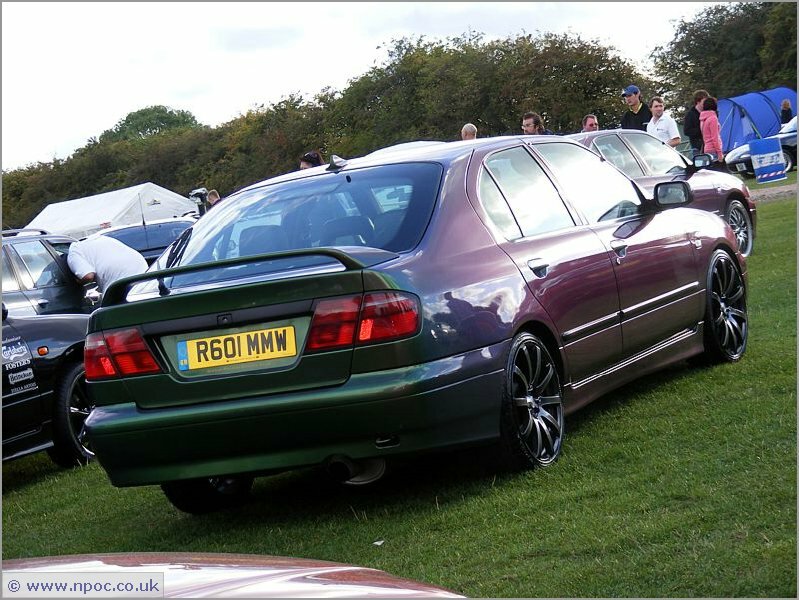 What do you think made your car so popular at JAE 2011? 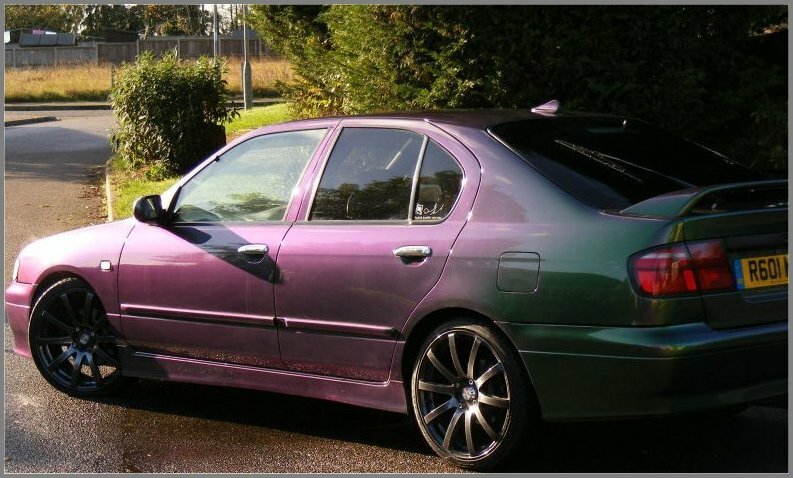 I’m thinking it was probably the wheel colour, as it really compliments the body colour. Ok I just wanna thank everyone for voting for my car and I can’t express how much it means to me to have won that award. I’ve had some real trials in the past few years but this moment makes up for all of that. I still can’t believe it, thank you all so much again. 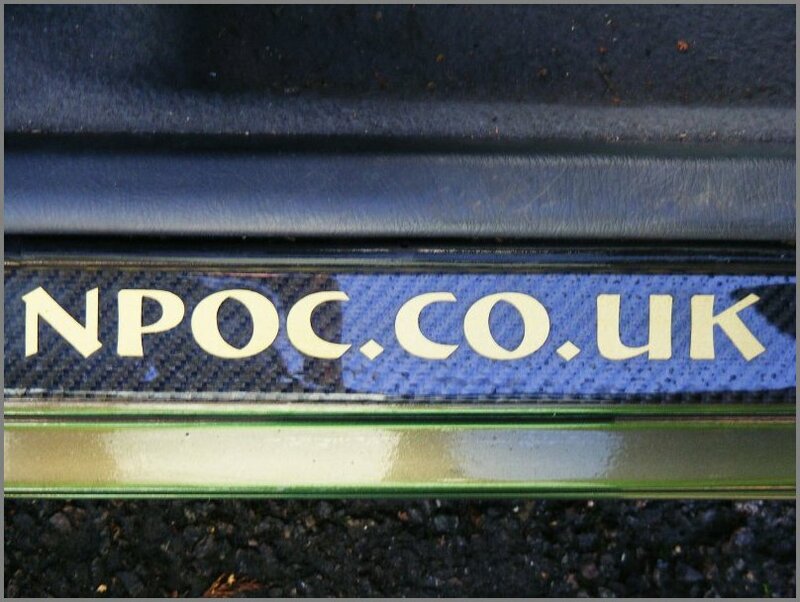 Tell us your favourite NPOC car? 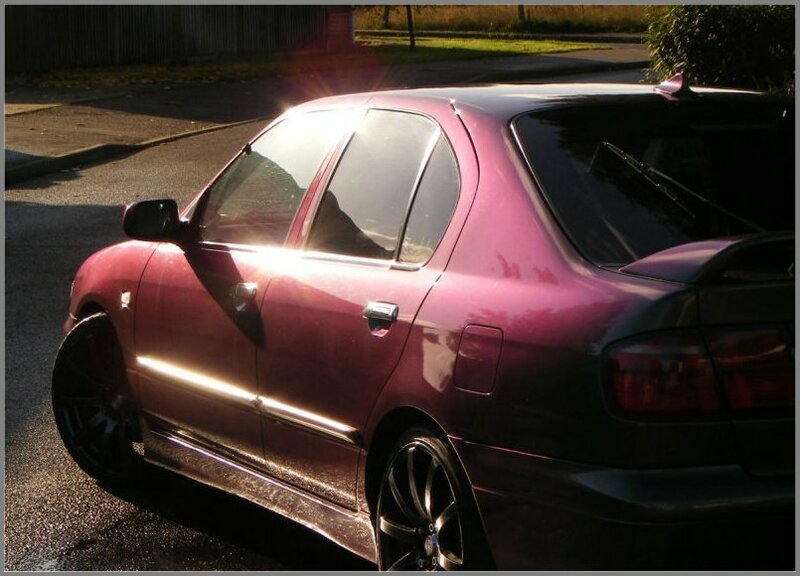 – Again another tough question but Mad Maru’s GTT is up there, riggsy99’s monster and Geordie’s wagon too but bigsydney’s Nissan Primera P12 is my current favourite. You have always been a familiar face at our Club Meets – Tell everyone why they should take the time to get out to the NPOC meetings. Talking on the forum is all well and good but there is nothing like meeting up with the members and really getting to know each other. Every time I go to these meets everyone is so welcoming and always happy to see you and it’s like a big happy family atmosphere. I don’t know really. I think life got in the way and a few of us have moved away and I do think petrol prices are a very big factor, plus lack of money has put paid to the local meets really. Remember the meets we have had in the past, the fun and games roaming around the countryside looking for photo locations, not to mention pubs with beer and food, come on let’s get back to the old days and sort an East Coast meet out!! Carlos, open your eyes! 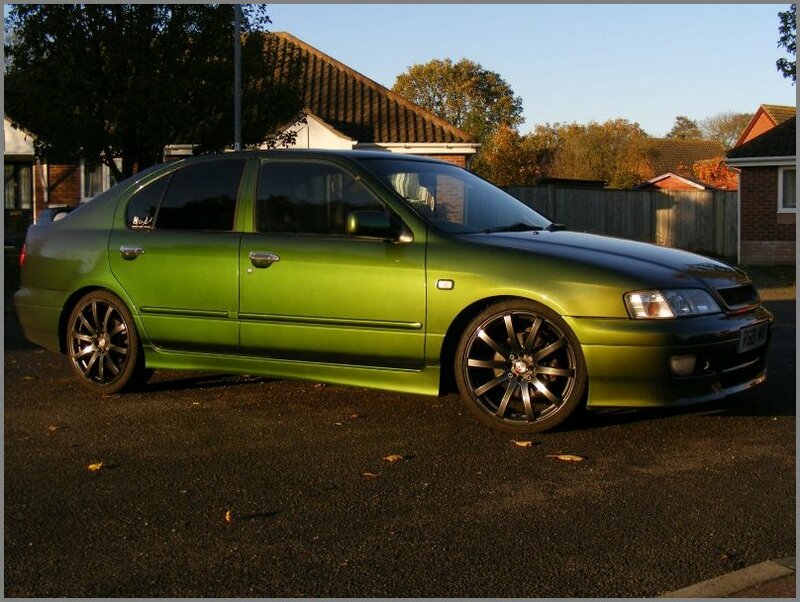 The Ford Mondeo is out selling the crappy new Laguna, stop letting Renault walk all over Nissan and bring the Mondeo some real competition with a new Nissan Primera. I personally will never buy a Ford or own a Renault again. 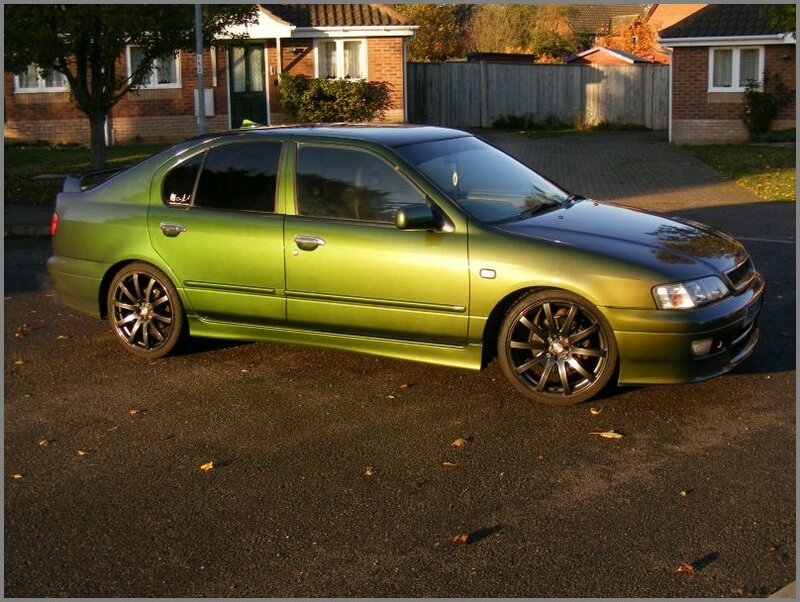 You want my money, build a new Primera but don’t dare style it on the same lines as the Juke. 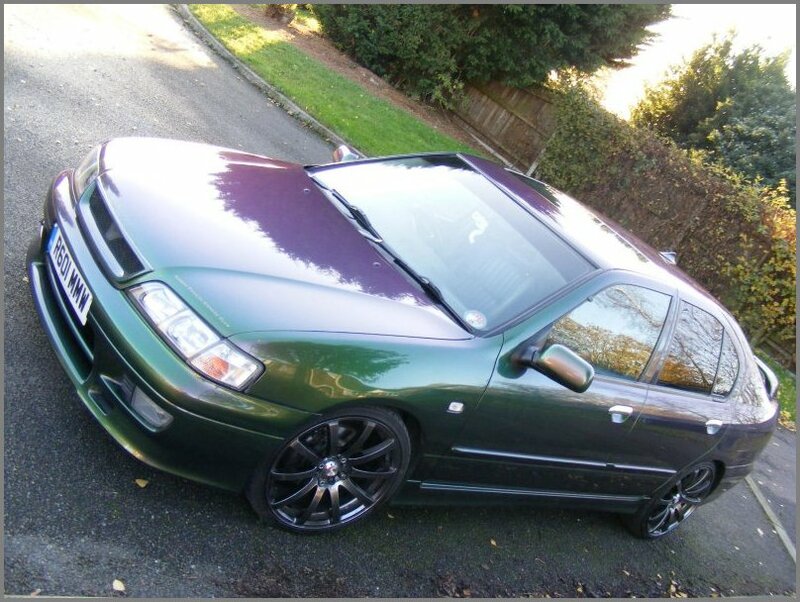 Many thanks for telling us all about yourself and fliptasticly painted Nissan Primera P11 GTSE Neil. 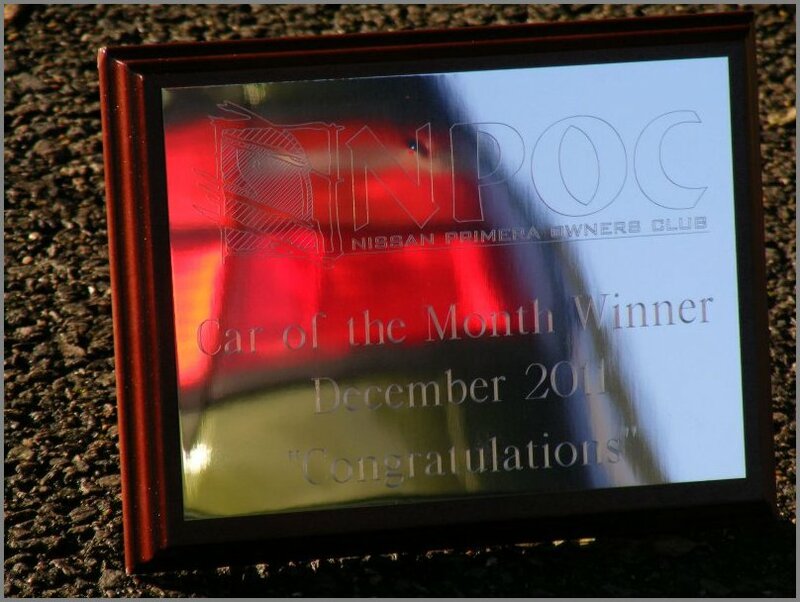 Second time you have won this award now and both you and the car are just as deserving this time around too! 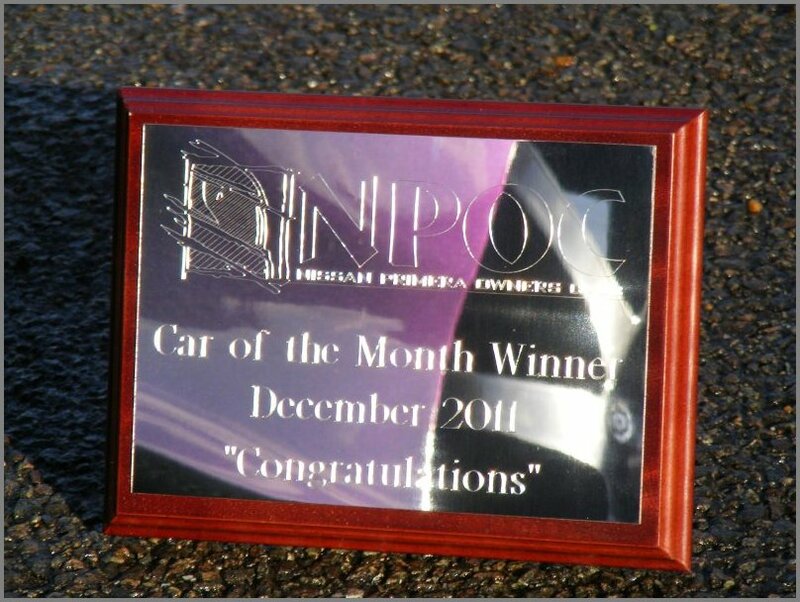 Congratulations once again for winning Car Of The Month for December 2011! Please end this feature, in your own words and feel free to thank anyone who’s made this one possible. I want to thank all my family. I also want to thank all individuals on NPOC who have helped, inspired and supported me, specifically: Grim, Mad Maru,Tom-P10,Sluffer and bigsydney. I wanna thank the Club Owners and Moderators for all their hard work keeping NPOC as good as it is. Congratulations once again to Neil!